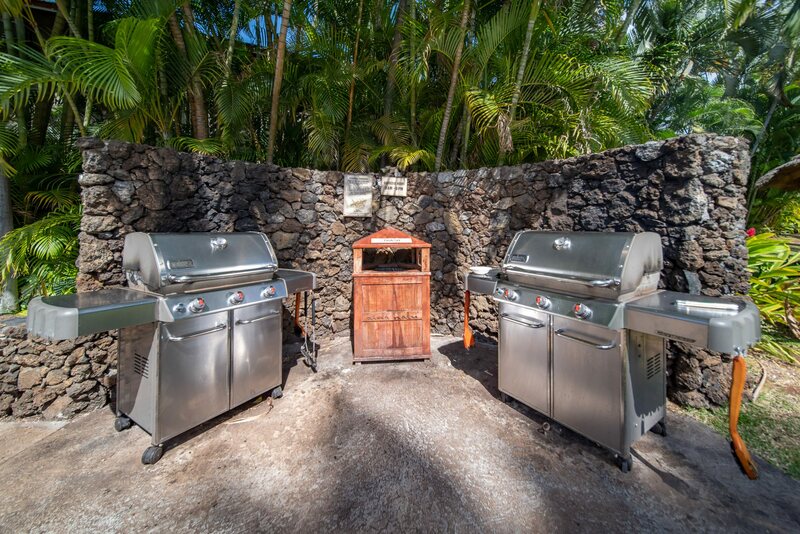 The best real estate buy on Maui. 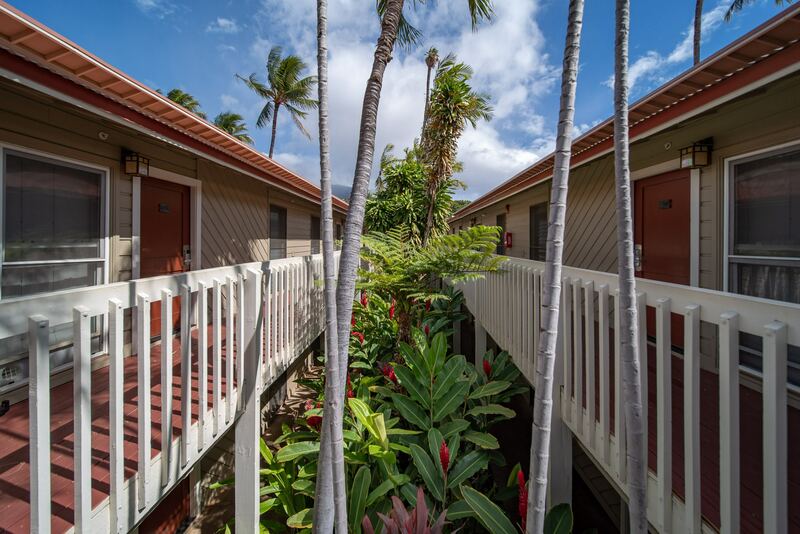 If you have been looking for a great price on a condo with outstanding rental, or a place to live, you need to get the details on Aina Nalu H205. Owners and guests love the upstairs location because of the extra light and open feeling of the vaulted ceilings. One of the reasons H205 makes such a great rental is the layout. The great room in this 2 bedroom, 1 bathroom condo is much larger than those in the other 2 bedroom units. The kitchen and the dining room bar and counters are also much larger making H205 the perfect gathering place for friends and family. H205 is also at a great location on the property. It overlooks a green belt near the quiet garden pool. And Aina Nalu H205 is in the heart of Lahaina. Location, location, location, right! You can walk to restaurants, shopping, the harbor and the beach, and catch the Maui bus for anywhere else on the island. You don't even need a car. 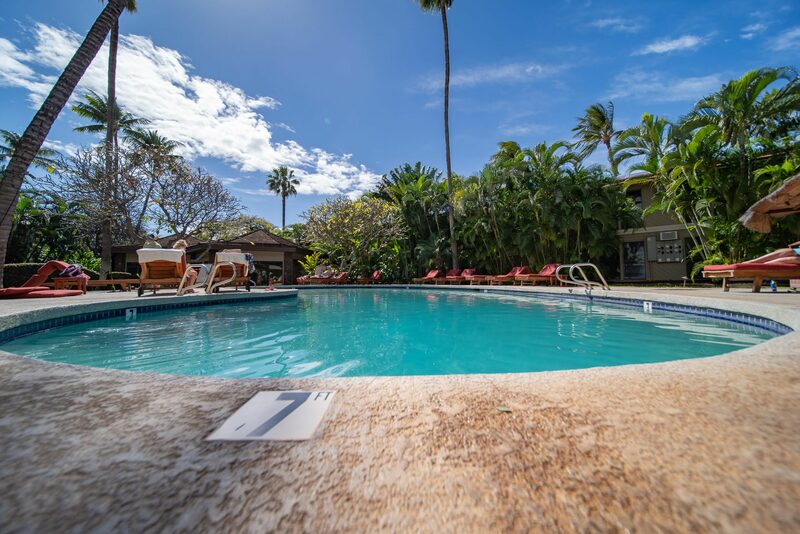 There is an abundance of tropical foliage and beautiful palms on the property, creating a relaxing oasis in the heart of this historic whaling village. 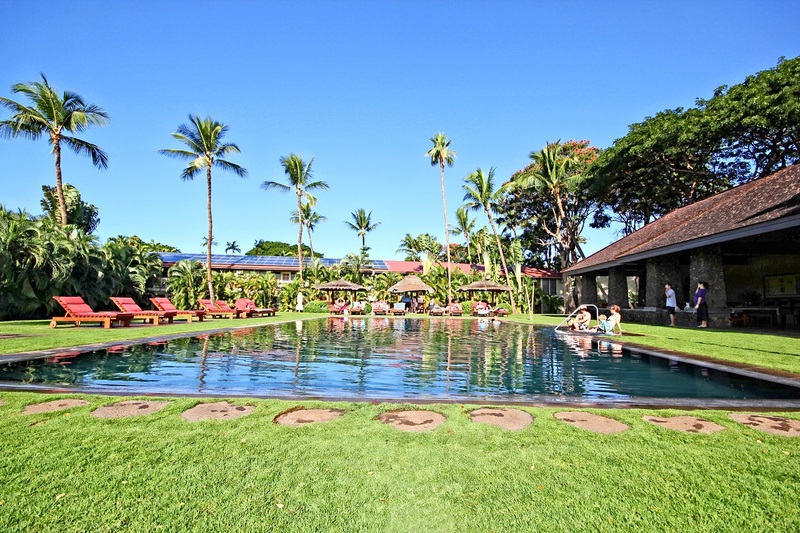 There are 2 pools, including the amazing oversized saline (salt water) pool with a hot tub and pavilion. It is a perfect gathering area for family and friends.